Is Trump stabilizing rather than repealing Health Insurance Exchanges? 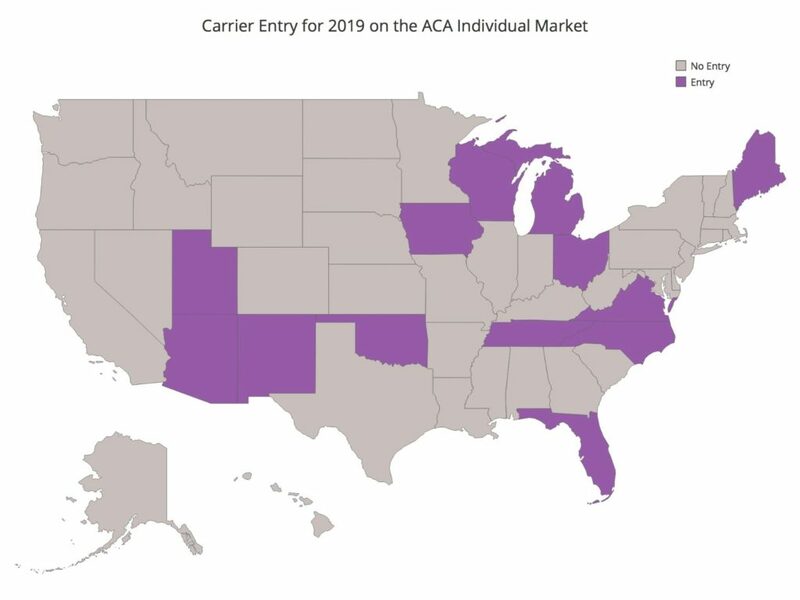 While that may not be his intention, a study from Robert Wood Johnson has found that few carriers are leaving the market in 2019 and in fact there is likely to be a net increase in the number of health plans offered. Favorable financial results for participating carriers is clearly the motivating factor, along with a continuation of the silver-loading policy that has created a relatively stable atmosphere for the subsidized part of the market. It’s possible that, at least in some markets, the marketplace population has become less costly to serve over time. It may be that the market is reaching the end of a multi-year “Goldilocks Process,” characterized by initially too many market participants, then too few, now perhaps closer to an amount that is “just right,” although this remains to be seen. One issue, however, is that for this market to work, government subsidies will likely need to be continued. One thing that seems certain is that the focus of most carriers in the marketplace will be on the subsidized customer. The unsubsidized share will continue to be challenging, particularly in light of the elimination of the mandate and the prospect of short term and association health plans. Nevertheless, Trump may not actually prove to be the end of Obamacare. Next Post Next post: What information can pharmaceutical firms share with payers?